Our range varies from simple automation, with our TAE050 automated guided cart to our new Autopilot range of automated trucks and the BT radioshuttle semi-automated load carrier. In this week’s blog post, we want to tell you more about these solutions and how they could benefit your operation. The TAE050 is a compact load carrier that is cost-effective and easy to install as it is guided by magnetic tape on the floor. It can be used for simple horizontal transport, for example, repetitive manual processes such as stock replenishment and transportation and can tow up to 500kg. Along with high levels of consistency and flexibility, the TAE050 also offers high levels of safety thanks to the safety scanner that will detect any obstacles placed in its path. 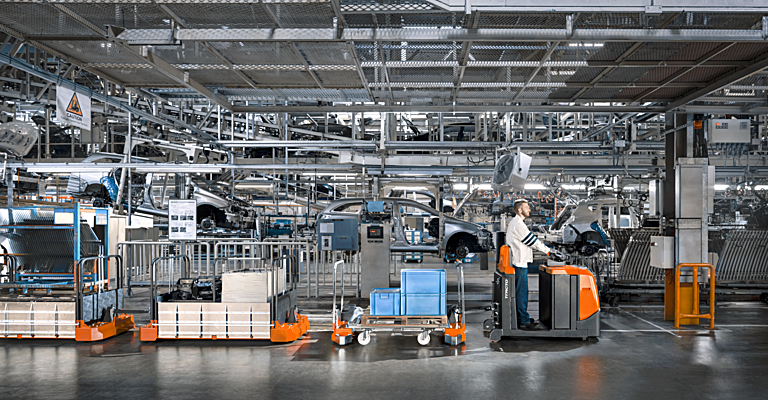 Our Autopilot range of automated warehouse trucks optimise the flow of goods while minimising damage, time and cost. These driverless trucks take over repetitive work between production lines and storage areas or conveyor systems. 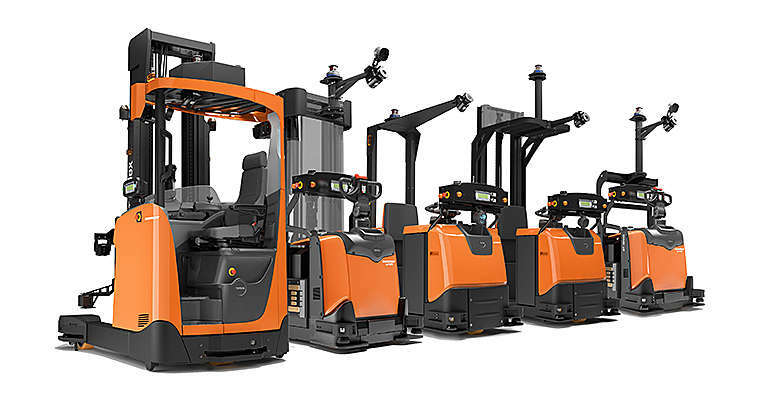 Our new Autopilot range includes powered pallet trucks (LAE250), stackers (SAE160); reach trucks (RAE160-250), counterbalance stackers (OAE120CB) and heavy-duty towing tractors (TAE500) covering all common applications: pallet transport, block stacking, high-level storage and towing. Along with ensuring high levels of productivity, the trucks also guarantee safety thanks to built-in safety scanners and obstacle detection units preventing collisions by reacting accordingly to obstacles crossing the trucks path. The trucks can also be driven manually if required. Did you know every hour, 7 days a week, 70,000 pallets are being moved by a BT Radioshuttle system? 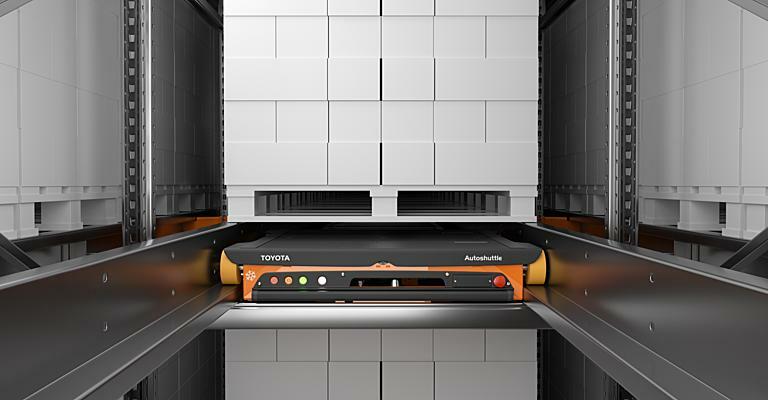 The BT Radioshuttle is a semi-automated high-speed load carrier that works within specialised racking and can be guided with a remote control. 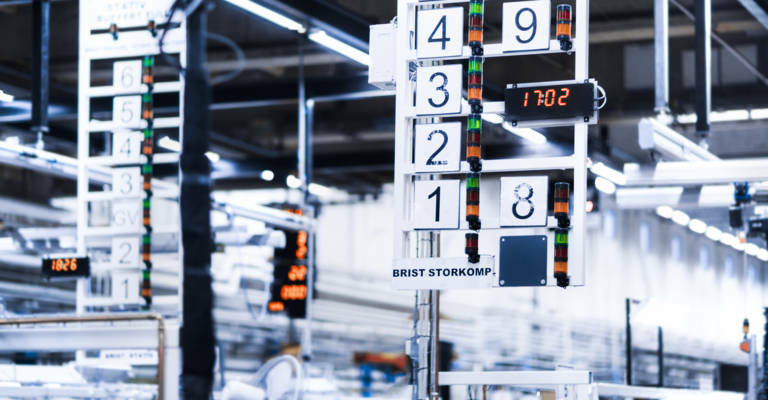 It works by shuttling backwards and forwards within the racking, allowing pallets of items to be loaded and unloaded by a counterbalance or reach truck. 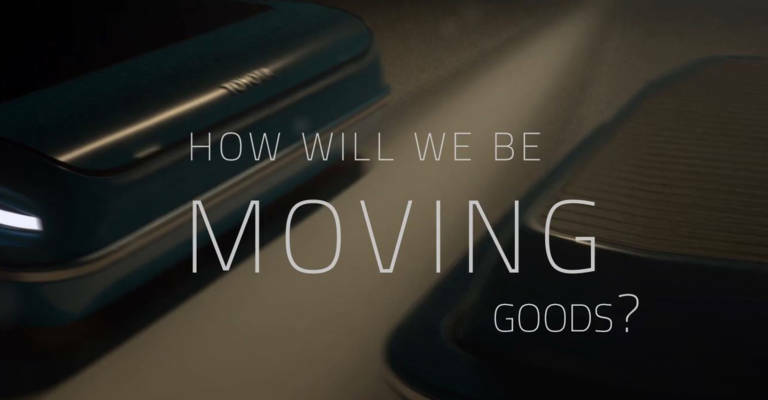 It allows easy, fast and reliable pallet handling, reduced operating costs and the highest levels of safety with a laser scanner safety system that ensures movement is stopped before impact. To find out more about our range of automated solutions, click here, call 0370 850 1409 or get in touch.